Mayo is the abbreviated term that is commonly used for Mayonnaise. Mayo is simply an emulsion that contains oil, salt, vinegar, and egg yolks as its primary ingredients. Mayo is often the base for a wide variety of salad dressings and sandwich spreads. Miracle whip is just one of those salad dressings that use mayo. Aside from mayo, miracle whip also includes other ingredients, like spices, changing its taste and making it sweeter. The origin of miracle whip is shrouded in mystery. Kraft claims that they came up with it from their own experimentation while others claim that it was sold to the company by a cafÃ© owner in Illinois way back in 1931. Mayo is a well known recipe and as a consequence, a lot of companies make it and sell it in the marketplace. Some people even make mayo at home to add their own touch and flavor into the end result. 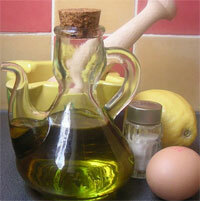 The changes can vary from the type of vinegar to whether to add whole eggs, just the yolk, or just the whites. Other additives have also become standard in certain regions. Miracle whip is a different case as it is owned and manufactured solely by Kraft Foods. They have a trademark on the name and the recipe. Even if some companies produce a product that has similar ingredients and similar flavor, they would still not be able to call it miracle whip. The popularity of Mayo means that it is available in a lot of locations all over the world. Although there are differences in how mayo is made and the ingredients that are added into the recipe depending on the geographical region, it is still largely the same. Miracle whip does not share the same popularity as that of mayo. The bulk of Kraft’s sale of miracle whip occurs in Canada. The Canadian’s fondness of miracle whip motivated Kraft to focus their sales there. Although you can also get miracle whip in other parts of the world. It is not as popular as mayo. 1. Mayo is just plain mayonnaise while miracle whip is a combination of mayonnaise and a few other ingredients. 2. Mayo is sold by a wide variety of companies while miracle whip is sold only by Kraft. 3. Mayo is very popular in one form or another all around the world while miracle whip is largely popular in Canada. Ben Joan. "Difference Between Mayo and Miracle Whip." DifferenceBetween.net. December 24, 2009 < http://www.differencebetween.net/object/comparisons-of-food-items/difference-between-mayo-and-miracle-whip/ >. Have you tried “Polish-style” mayonnaise? It is very similar to the tangy taste of Miracle Whip, and it would be my suspicion that it or another regional mayo blend from Europe was the genesis for ‘Miracle Whip.’ I recently found “Polish-style” mayonnaise in…. Canada. It is now my preferred blend.